Woodchucks, also known as ground squirrels or groundhogs, are native to North America and are widely distributed throughout the continent. 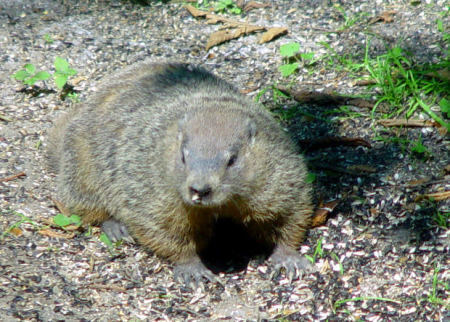 This common rodent survives on a diet composed of grass, nuts, berries and other plants. If you can’t get enough woodchuck, try out a 6-pack of Woodchuck cider. Seriously- Woodchuck is the best hard cider ever! You’ve Never Seen A Live Oarfish Before, Click For Video Of Rare Fish! You Don't Want To Put Your Hand In This Moss -- The Animal Video Of The Day!!! Kittens Learn to Walk -- The Insanely Cute Animal Video of the Day!! !